Our customization is not only for the contents of your First Aid Kit! 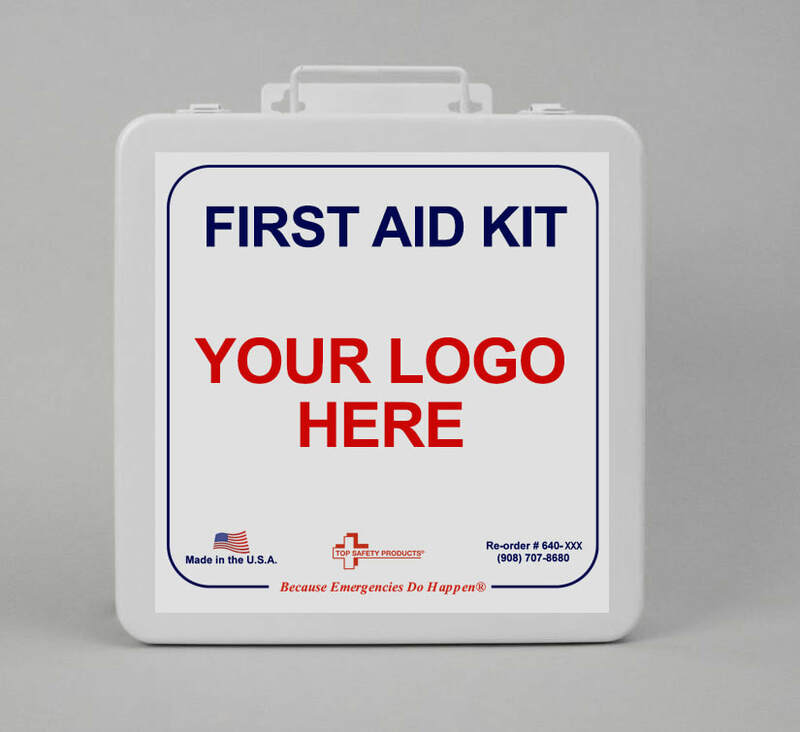 We can customize any Safety Kit Container with YOUR COMPANY LOGO! Use our in-house template or work with one of our talented in-house designers. Branding is important and this is a great way to brand your office environment, vehicles or as a leave behind for your clients! *minimum order requirements are one case number will vary dependent on kit choice.